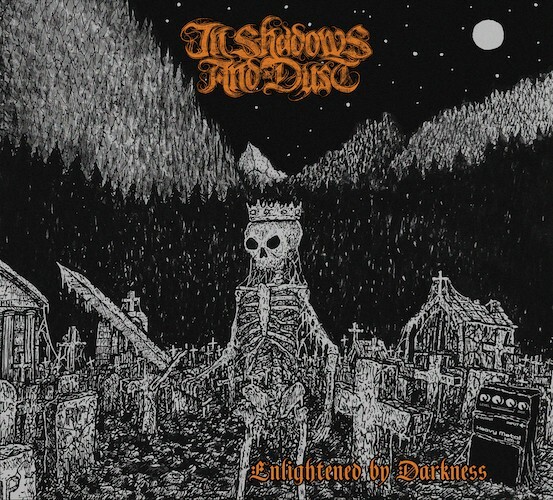 In 2015 the French one-man band In Shadows and Dust began what has become an annual album-release cycle, each one appearing on the 21st of December, and the cycle will continue this year as Redefining Darkness Records will release the project’s fourth full-length on the winter solstice, the day of least light in the Northern Hemisphere. Its title is Enlightened By Darkness. The band’s name suggests gloom and decay, and when coupled with the chosen release date and the album’s name itself, you might expect music in which melancholia and doom reign over a sepulchral soundscape of frigid wastelands. What you will find instead, in the lyric video we’re premiering today for the new album track “Revenge“, is an explosively savage shock-and-awe campaign. 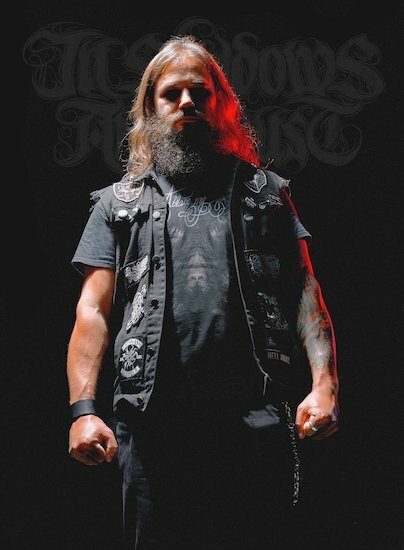 The alter ego of In Shadows and Dust, Stephane Thirion, has created an interesting alloy of extreme metal stylings in this music, combining the HM-2-fueled slaughtering of old school Swedish death metal with a range of other ingredients from the realms of death and black metal. Redefining Darkness makes reference to the early incarnations of Necrophobic, In Flames, At The Gates, and Grotesque, as well as Soulless-era Grave, Nasum, Naglfar, and Dissection. In the specific song featured in the following lyric video, the massive HM-2 tone (the saw is the law!) provides a monstrous undercurrent to a track that’s propelled by furious battering and thundering drumwork and suffused with waves of vicious, roiling riffs. No less vicious are the vocals, which are unhinged and mind-scarring in the quality of their shrieking proclamations. The turbocharged energy of the song is irresistible, but surges even higher into the red zone through the appearance of high, scintillating leads, rippling in an intense and effervescent boil. All in all, it’s a hell of a blood-rushing experience — and there are 8 more tracks where this one comes from. Redefining Darkness will release Enlightened By Darkness, which includes artwork by Manel-Sone Ollé Chin, on CD and digitally. Pre-order via the link below.